According to the latest research from international real estate consultancy Cluttons, while Bahrain's residential and office markets continue to soften against the backdrop of an economic slowdown, the retail sector remains the standout performer with rents stable in all of Manama's main markets during the first quarter of 2016. Cluttons' Bahrain Spring 2016 Property Market Outlook Report shows that retail at Al Seef continues to command the highest rents at BD 12.50 psm, representing a 4% increase over the 12 months from Q1 2015. 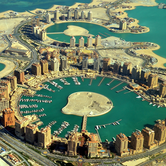 Following closely behind Al Seef is Amwaj Islands, which has seen a rental increase of 33% since Q1 2015, to stand at BD 12 psm in Q1 2016. However, the report indicates that the overall picture of stable rents suggests that the market may be approaching a supply-demand equilibrium, with the level of new entrants tailing off. 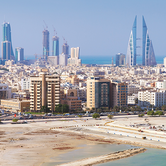 Harry Goodson-Wickes, Head of Cluttons Bahrain said, "We continue to see demand for retail across Bahrain with budgets remaining stable around the BD 12 psm mark. However, if supply continues to edge ahead of demand, headline rents may fall. Rents will also be impacted by the general economic slowdown that the Kingdom is facing and it will likely cause increased downward pressure as demand stabilizes this year." Cluttons' report shows that existing food and beverage (F&B) operators are amongst the most active groups in the retail market at present. The Mesk Restaurant Complex (MRC) in Adliya for instance, has been registering strong interest from F&B operators looking to take up space. Goodson-Wickes commented, "The Kingdom's retail sector is still perceived as being a key retail and hospitality hub for Saudi Arabia, with the weekend tourist traffic being a particularly big draw for domestic and international retailers. In addition, the government is focusing on its strategy to attract high-end tourists, which is driving an upturn in the number of five star hotels. 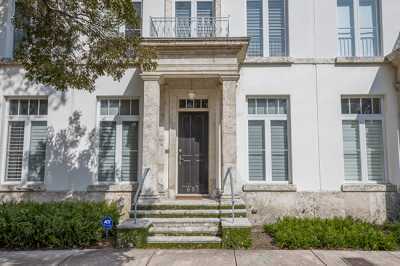 However, we believe the family market remains vastly underserved, but there are signs to suggest that developers are now seeking to target this segment." Elsewhere in the commercial market, Cluttons data shows that office rents have remained unchanged between Q4 2015 and the first quarter of 2016, with the Financial Harbour and World Trade Centre retaining the top spots as the most expensive buildings for occupiers. 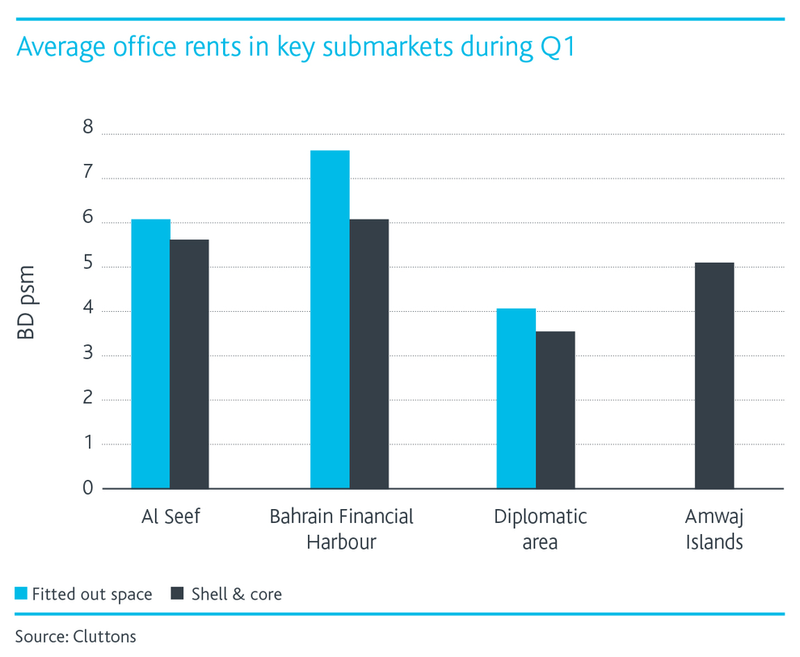 Over the past 12 months, however, rents for fitted out office space in Al Seef have risen from BD 5.50 psm to BD 6 psm, whilst shell and core space in the same area has climbed by BD 0.50 psm to BD 5.50 psm over the same time period. 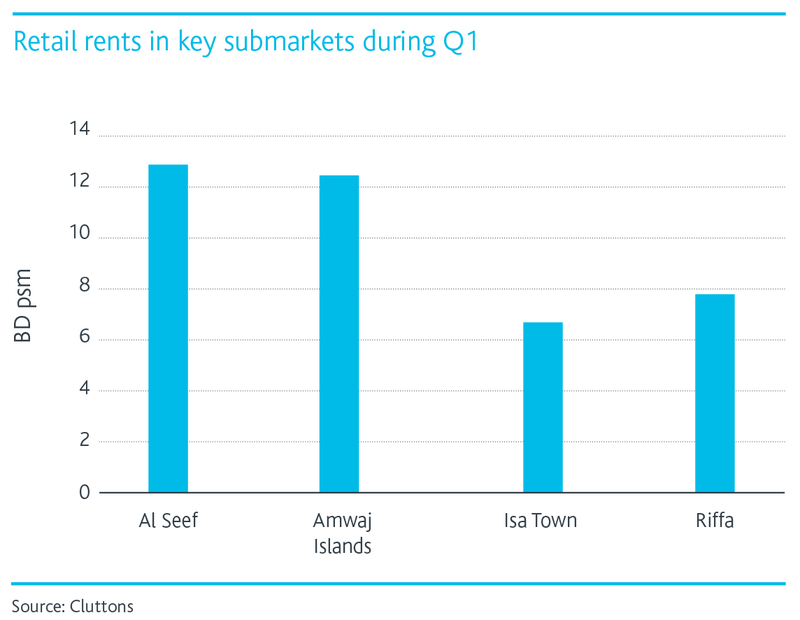 The vast majority of occupier activity in Al Seef is being driven by a small amount of relocation activity within Manama, rather than by new entrants. While cost saving is the main driver behind the relocation of many businesses, some are taking advantage of the record low rates and using the weakness in the market to upgrade to more modern facilities. Faisal Durrani, Cluttons' Head of research explains, "There is no doubt that the office market in Bahrain is in a very challenging position. However, we see a significant opportunity for landlords to improve facilities for occupiers and focus on core pull factors such as high quality property management and adequate parking, both of which feature at the top of occupiers' wish lists. Also, where possible, the provision of smaller fitted office suites is likely to be well received by the market as this segment of the market continues to perform well and is reflective of the growing number of enquiries we are noting of this type." In the residential sector, the first quarter of 2016 marks the second consecutive quarter of rental stagnation. As a result, the annual rate of change decreased from 5.2% at the end of last year to 4.4%, at the end of Q1 2016. 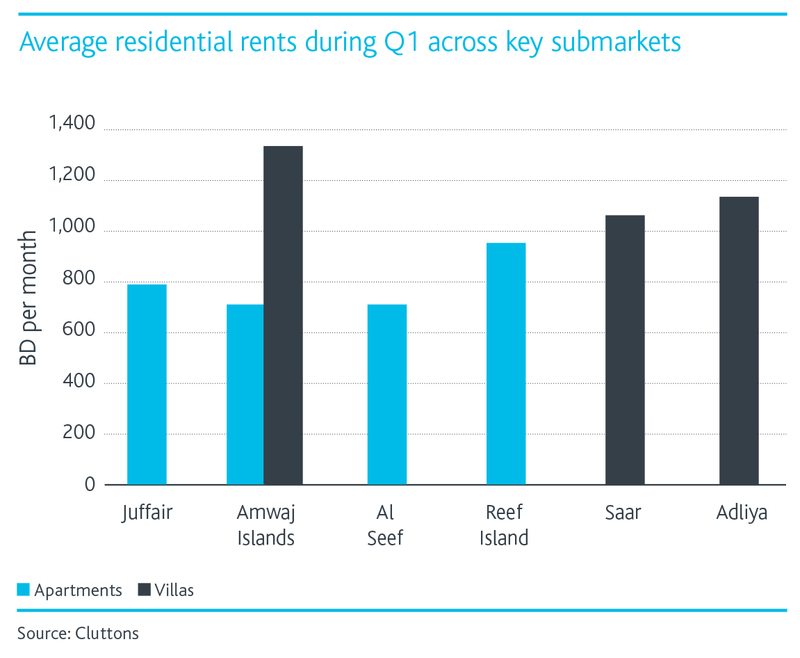 In Q1 2016, apartments on Amwaj Islands saw no change in rents, equating to an annual change of - 2.3%, which translates in to a little over BD 700 per month, on average. Durrani continued, "While apartment and villa rents have remained stable thus far in 2016, once the regular season of tenancy renewals commences in April, it is likely that there will be an increased amount of rent negotiations at renewal as tenants move to rein in costs. In particular, the removal of utility subsides remains a complex issue; with little clarity on whether the increased cost should be borne by tenants or landlords. "A set monthly allowance is something being considered by some landlords, rather than utilities being all-inclusive. This should, in some instances, help to soften the squeeze on tenants' finances, while also curbing the risk of any sudden shocks to an increasingly fragile market. 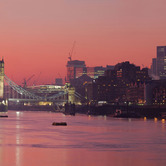 "It is our view that average rent declines of up to 5% are likely this year, with some areas expected to remain stable. Our research shows that where landlords offer high quality property management and maintenance services, tenants are still willing to pay a premium and this is a trend that is unlikely to reverse. For instance, at the 110-unit Cebarco Towers, which offers luxury accommodation and the all two-bedroom scheme, Segaya Views, which caters to middle income families, we have seen strong demand since the schemes were brought to market." According to International real estate consultant Savills' 30th annual Financing Property report, the UK property lending market is largely stable as a result of pressure on interest cover ratios (ICRs) and debt yields. With positive government interventions to bring in more investors and diversify Bahrain's real estate market, retail remains a significant area of growth in the Kingdom's property sector. 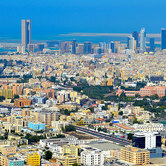 A recent decision by the Bahraini government to allow foreign investors 100% ownership in various sectors of the market is likely to have a positive long term impact. 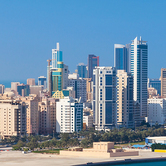 International real estate consultancy Cluttons is now reporting a welcomed the resumption in activity from multinationals in Bahrain, which now account for approximately 25% of office space deals in the Kingdom.